This business is always in my heart but on hold. If interested please email to set up a workshop. EMPOWER THRIVE presents Empowering Girls 13-18 yrs. EMPOWER THRIVE empowers girls to create and continue internalizing positive thoughts. According to studies, the average person has approximately tens of thousands of thoughts a day. Of those, 80% are negative and most are the same repetitive thoughts as the day before. How can we give young women the gift to turn these habits around during their teen years? Workshop educates girls 13-18 years old to change thought patterns, break habits and find REAL joy and acceptance within. Course focuses on identifying and using positive affirmations, implementing mirror work, teaching mindfulness and breathing techniques. Life changing tips to be used to better social, athletic, and school performance. Workshops are dynamic, age appropriate, interactive and focus on positive ways to navigate young women through the teen years. ﻿Currently these classes are on hold. If interested in starting a program please contact me directly. www.lgsrecreation.org or email highlowmusic@yahoo.com for more information. 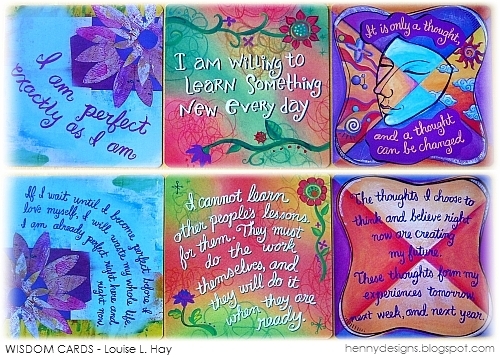 Teaching the philosophies of Louise Hay in a fun, energetic, interactive night. Singing, dancing, discoveries, discussions and high energy. Mirror work, positive affirmations, and relaxations. If you have a church or school group interested please contact to set up a time. So much wonderful and life changing information to share. Studies show if we learn to relax and breathe you will perform better on standardized tests. Students learn techniques to improve self confidence, anxiety and support themselves for test taking. RSVP asap. Don't miss this wonderful and enriching experience. Next class TBD.